Many people of dream of being debt free but cannot see a way of it becoming a reality. This is particularly difficult if the debt is large, but it is possible. Below are tips that you can follow in order to help you to become debt free. Is Debt Free Right for You? 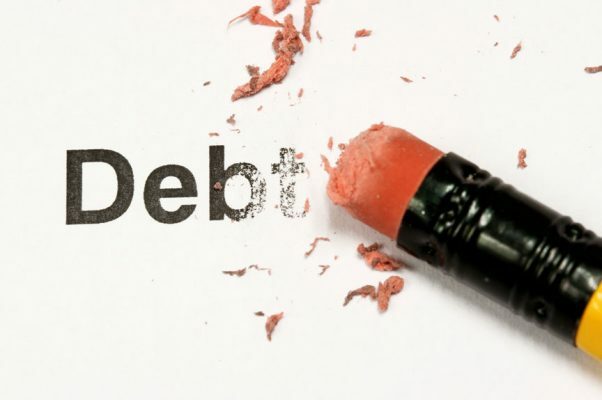 Before you start you need to consider whether being debt free is right for you. It is possible to split debt into good and bad debt and you need to decide whether your debt is bad and needs paying off as soon as possible or good and may not need to be paid off. Good debt is usually debt which is worth keeping because you gain from it. In the UK student loans fall into this category as they only have to be repaid when salaries reach above a certain level and interest rates are kept at a reasonable level. However, this may be due to change soon and so it is worth checking the figures. Paying back a student loan early could mean that you end up paying back more than you would if you make the regular repayments instead. Another example of good debt would be a very low interest or zero interest loan where you can get a better return by investing the money that you would have used to pay it off, rather than using that money to clear the debt. Of course, cost is not the only factor with debt and it may be that you just want to get rid of the burden and this can only disappear if you pay it off. You may also want to improve your credit score, so that you can get a mortgage or something else. It is important to take repayments one step at a time, particularly if the debt is high. It will not normally be possible to deal with it quickly and so it could seem really daunting. Following each of these tips in a methodical manner will help you to be able to cope with the prospect of paying it off and break it down into more manageable chunks. You could even reward yourself at the end of each stage to help work through it. To start with write down the goal that you have i.e. to be debt free. Keep this handy where you will look at it every day to remind yourself of what you are striving towards. You may even benefit from writing down the reasons why you want to achieve this goal, to help to motivate you on a daily basis. When you see the goal; say it out loud in your head to really make it stick in your brain. It may be a goal that will take years to reach and so you need to keep focussed on it. You will need to start by finding out all of the paperwork with regards to the debt or debts that you have. Find out exactly how much you owe and to whom. This can be very difficult as you will have to admit to yourself exactly how much debt you have. However, try to push yourself to get this step done as quickly as possible so that you move on to a more positive stage. Remember to include any loans, credit cards, store cards, overdrafts as well as any cash that has been leant to your by friends and family. Most people have debt because they spend more than they earn each month. It is therefore necessary to make sure that you stop doing this right away. If you do not, then your debt will increase rather than decrease. This may be hard, but the tips below should help. It may be that the best way for you to pay off the debt is to increase your income. This may be easier for some people than others, but take some time to consider ways that you could do this. If you work, you may be able to get extra hours or ask for a pay rise. You may be able to get a second job to get some extra income too. If you do not work, then finding a job could be a sensible step, if it is something that you can do. It could be possible to pick up some freelance work, which can be done online or find other ways of online earning. You could sell ebooks, apps or even physical items online or try to earn advertising revenue from videos, blogs etc. There are many things that you could try to generate some extra income and if you have spare time it is worth a go as most will cost nothing to set up. Even selling things that you own could generate some money that you could put towards paying off debt. Obviously reducing spending can make a big difference. If you start to increase your earnings, it can be tempting to spend more, but you need to remember to still spend less, if you can, so that you can use the extra money to pay off the debt. It is worth listing every single thing that you spend money on and seeing whether you can reduce the costs. Start with the big things, can you move to a smaller or cheaper home, switch utility suppliers, change supermarkets, switch insurance company etc. There are many things that you could change, that would save money and you may hardly notice any difference. Then look at the smaller things as well such as making your lunch rather than buying a sandwich, walking places instead of driving, using your phone less, switching off lights when not in a room etc. There are many ways to cut down spending and even the smallest ways will add up to help overall. It is worth looking at the different debts that you have to decide which to pay back first. The cheapest way to do it is to pay back the one that costs you the most, first. You will need to calculate how much each costs by looking at the interest you are paying as well as any fees. Some people prefer to pay back the smaller debts first and then they feel like they are eliminating the amount of debts quicker and this motivates them more. There may also be some debts that you feel are more urgent to pay back than others. Write out the order you want to use, remembering that you can always swap them in the future, but this list will allow you to plan for now. You may be able to overpay each month, to eliminate the debt or you may have to wait until you have saved the whole sum and pay it back in one go. Check the terms of the debt to find out and then you can plan how you will manage that specific repayment. It is worth deciding whether to move the debt or consolidate it. Consolidation loans tend to be expensive, but you may be able to organise one yourself. If you have a lot of expensive debt, such as overdraft or credit card debt, then you may be able to take out a cheaper loan from your bank to use to repay them and that will save you money right away. You may also be able to use an interest free credit card that you can use to buy your groceries, fuel etc and then the savings you make; you can use to pay back other debt. However, make sure that you have enough money to repay the interest free card before interest starts being charged as it will be expensive. Look at the different options available to you, to see whether you can save costs this way. It may sound obvious after the previous tips but it is important to remember that you should be paying off debt before buying luxuries. So each time you are paid, after the bills are paid and essentials purchased, put the rest against the debt rather than buying luxury items. It may feel difficult to start with but as you see your debt decreasing you will feel that it is worth it. If you really feel you want some luxuries then restrict yourself to just one a month or have a small budget left to spend on them, rather than allowing yourself to buy as many as you wish. Remember, luxuries are not just things like meals out and DVD’s but even expensive supermarket purchases, clothing and chocolate bars could be considered luxuries as they are not usually necessary. Do not take any risks with your money. For example, try not to invest in a business or in things to sell unless you are really sure that you will get money back from it. Do not gamble. It can be tempting to think that a few pounds on a lottery ticket could be the answer to getting your debt paid off, but this luxury spending is only likely to end in disappointment and will put you back in your debt repayment goal. It can be worth risking time in projects, but risking money, when you do not have any spare money anyway, is not normally worth it. It is worth keeping notes as to how much money you having coming in, how much you are paying out and how well you are doing in repaying the debts. You will be able to check for any patterns, positive or negative and see how much you are succeeding in your goal. If you want to pay the debt off more quickly, then look at whether you can cut your spending even more or whether there is more that you can do to increase your income. If you did better in the past, you can look back to see what has changed and whether you can do anything to get things back to how they were. You will also be able to see how your debt is decreasing and how close you are to eliminating it, which should help to motivate you. It can be easy to think that cutting back is a punishment. That you are not buying everything that you want and therefore it is not nice for you. However, a change in attitude can make it far easier to do this. Start to think of anywhere that you save money as being a treat for you as you are a step closer to paying off your debt. Feel that burden of debt lifting as a result rather than feeling like you are being deprived. Also remember that once the debt is gone you will be able to afford treats again and you will not have to feel guilty about them if you are not borrowing money to finance them. For some people the knowledge that the debt will be paid off, will be enough to motivate them to keep going. However, others may need an extra treat as a reward. If this is the case, then plan something. This could be a holiday, a meal out, some new clothes or shoes or something else. Whatever it is, make sure that you save up the money to pay for it though, do not borrow it! You may want to plan a treat every time to you reach a goal. You may decide that for every certain amount of money you repay, you will take some money to spend on yourself. Do not spend too much but make sure that it is an amount that will encourage you to do as well as you can with the debt repayment plan.